The fight against visible signs of aging is associated with the elimination of wrinkles and aesthetic defects in the eye areaprimarily. The emergence of the deep "crow's feet", "bags" as well as the omission of the upper eyelid can be overcome with the help of blepharoplasty. Blepharoplasty is a set of procedures aimed at the rejuvenation of the upper and lower eyelids. Typically, it involves lifting of the upper zone of the eye, removal of edema. Often this procedure is being performed in conjunction with other plastic and cosmetic procedures. The main point of the method used is the removal of the fat tissue, increasing ofwhich leadsto the edema effect as well as excess skin. Before the procedure, the surgeon makes the layout of the treated area, which allows to perform blepharoplasty accurately and safely. Quality of skin tightening during the implementation of blepharoplasty depends entirely on the experience and qualifications of the specialist. Professional surgeon is able to perform the surgery without complications. Otherwise, there may be displacement of the eyeballs, traces of wrinkles and scars. Preparations for plasticsurgery involve inspection and consultation with a specialist, during which the doctor is creating the patient's history, determines the impact zone and operation methods used for effective tightening. A few days before the procedure, the patient should stop smoking and drinking alcohol, as well as stop taking the drugs. Rehabilitation after plasticsurgerytakes about 14 days. The sutures are removedon 4-5th day, after what the patient can maintain a former way of life. Rehabilitation conditions may be individualized for each patient. Many patients of our clinic have been able to evaluate the effectiveness of blepharoplasty. Be sure to see the results on our website, read the reviews and look at photos before and after the procedure. When choosing a clinic for plastic procedures, the question of cost should not stand in the foreground. However, if the hospital has a good reputation, as evidenced by numerous reviews, while it guarantees quality and safety, and offers optimal cost of its services, such a proposal cannotbe left unconsidered. 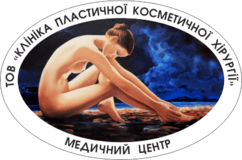 A modern approach to the organization of the clinic, professional execution of all procedures and a favorable price policy are available for you in Poltava. You may find out how much the procedure costs, as well as how the costs are being generatedin our clinic, by simply contacting our staff by phone. Removal of lower eyelids syringoma 1 pce. Jan. 19, 2019, 4:42 p.m.
Hello! I am completely satisfied with the doctors in the clinic. For a long time I was looking for a clinic of this level, as it turned out in our country there are few of them. I want to say that the result fully justifies the investment in the operation. all at the best level. Well done! I really liked everything, as in the best clinics in the world. Doctors are the best))))))) I'm happy to my fingertips!)))))) THANKS and thanks again to the doctor. !! Nov. 20, 2018, 5:38 p.m.
Good afternoon to the medical center of plastic surgery. I am very grateful that they responded to my letter, Lesya Fedorovna. Thanks for the sincere words. I wish your center longevity and prosperity, all health and well-being. You give people joy and confidence. I regret that I didn’t go to your clinic before. I want to make an amendment that I did not write the name of the operation correctly. And I am infinitely glad to this, I repeat it again and again. And this is thanks to the wonderful doctor Ilya Yuryevich, good health to him. I wish you more excellent results. With respect, your patient Irina. Nov. 19, 2018, 12:39 p.m.
Good afternoon, wonderful doctors, Ilya Yuryevich and Lesya Fedorovna. Did you cantoplasty upper eyelids and blepharoplasty lower. I think you remember a girl with a very short haircut. Finally, they helped me with the e-mail and I can write and send you a photo. I am very grateful to you that you reacted with understanding to my situation and performed the operation right away. The operation was not easy for me, but Ilya Yuryevich is a master of his craft. I wish him health and success in his hard work. Almost two weeks after the surgery, almost everything has healed. But I liked everything even on the second day. I did not notice the bruises and swelling, most importantly, it became clear my eyes. Although, of course, there are still seals, but they gradually pass. I’m fulfilling all the doctor’s instructions. Now I can’t believe what it was like otherwise. My eyes look like they did before. Thank you for convincing me to do lower blepharoplasty. I am infinite, thank you. You are wonderful people and professionals in your business, Ilya Yuryevich and Lesya Fedorovna. I hope that I will come to your clinic on my next vacation. Soon we will go to work, but when my eyelids are finally restored, I will definitely send a photo. For now I will send as I looked these days. Oct. 26, 2018, 9:51 a.m.
Good morning, 10/18/18 I have blepharoplasty in your clinic. Thank you so much for the result, it’s already clear that 10 years is minus :) the bruises are almost gone, the only thing under my eyes is seals, like rollers, I was warned that this is possible after lipofilling, but I would like to thank the doctor with all my heart and wish them thankful patients, and most importantly, health!